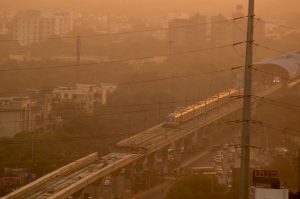 Delhi air has become synonymous with pollution, respiratory problems, and allergies, which is making many of us worry about our health and well-being. The issue of air pollution is not limited to Delhi NCR, many other major cities, especially in North India, such as Ludhiana, Lucknow, Agra, etc., also suffer from this problem. While we cannot control the pollution levels outside as much, we can keep the air in our houses cleaner by using air purifiers. It can be hard to choose these devices though, so in this article, we’ll explain all the things you need to keep in mind while buying an air purifier, and also introduce you to the 10 best options you can find online in India. 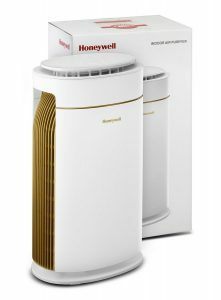 Although most air purifiers only seem to differ in their looks and costs, there are several points that you should look out for and compare, if you’re trying to find the best air purifier for yourself. The quality of air in many Indian cities is so bad that a simple air purifier will not suffice, and you must buy a purifier with at least 3 stage filtering. Each stage will help filter different types of pollutants, so you must make sure that your air purifier has each of the following three types of filters, so it’ll be effective in Indian cities. 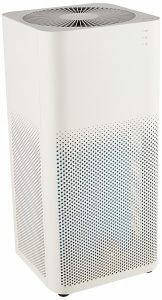 The first filter should be a pre-filter that collects all the heavy particles such as PM 10 and PM 2.5. The second one should filter out polluted gases with the help of a layer of activated carbon. The last type of filter is a High Energy Particulate Air (HEPA) filter, which removes 0.3 micrometres contaminants from the air. Once you’ve bought an air purifier, you can check whether it’s working effectively, by checking the condition of the pre-filter after a few days of use. If you’re living in a heavily polluted area like Delhi NCR, you’re bound to find a lot of dust particles on the filter. Another important factor that you should look for is the CADR, or the Clean Air Delivery Rate, which tells you how fast the device works, and whether it is suitable for your requirements. You need higher CADR for larger areas like living rooms, medium ranged CADR for bedrooms, and very less CADR if you want something for your car. If you live in a relatively clean region, then you don’t need a really high CADR. If you live in Delhi NCR region though, we recommend you to choose a device with a CADR above 300m3. The CADR requirement for a car doesn’t change as much as there are only higher-end options available on the market. There’s no point buying an air purifier and struggling to find an appropriate spot for it. 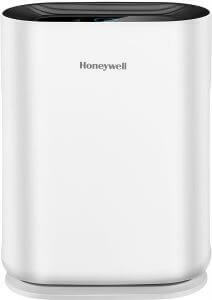 Just like any other device, your purifier needs adequate space to work properly. You must make sure that you check the measurements of the machine you’re interested in, and then make sure you have the required amount of space in your room. 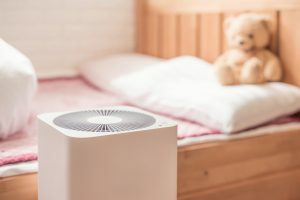 Certain air purifiers seem to be very proud of the fact that they produce ozone and release negative ions, but be wary of these types because although ozone sounds like a wonderful thing, considering it protects us from the harsh rays of the sun, it isn’t the best gas to be in direct contact with constantly. 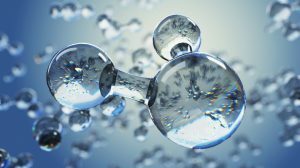 Ozone gas and negative ions are recognised as irritants that have the potential to cause lunch and chest diseases, as well as headaches, so it’s better to stay away from ozone producers and ionizers. Instead, you should look for products that say they’re 100% ozone-free and do not produce any negative ions. After you’ve considered the main specifications, you might want to look into a few additional features as well. Many of us buy air purifiers because the air pollution levels are taking a toll on our health, but imagine if that purifier ends up being a really loud one – it’ll take care of one problem but create another. Therefore, it is recommended to check the reviews and go for devices that do not make too much noise, as well as those that have a special night mode for when you’re sleeping. 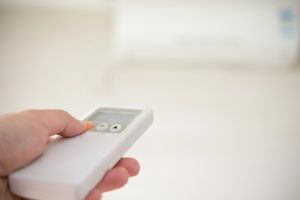 Remotes are always great if you’re planning to use the purifier in a home with elderly people, or parents with young kids who need to have remote access to the machine. 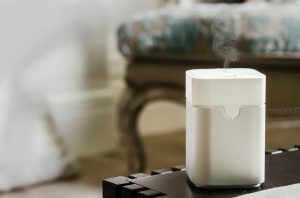 There are also certain purifiers that come with apps to help control the device from a distance, and also give you valuable information about the purifier and the air quality. Clean filters are a prerequisite for air purifiers to work effectively, but with regular use, they tend to become full of dust and clogged. In order to find filters that are easy to clean, you must first look for filters that are easy to remove. 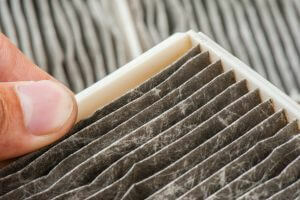 Make sure you check the reviews section to know whether it is easy to remove and clean filters. If the filters are easy to remove, clean, and put back in, maintaining them will not be a hassle, and you’ll be able to do it yourself and save money too. It’s an important thing to consider for those who like to keep their machines in top-notch conditions, but cannot be bothered to call a maintenance person every week. It’s finally time to discuss our picks for the top 1o best air purifiers you can buy online in India. We hope after reading our buying guide, you’ll be able to choose the best one for your needs. If you live in a slightly cleaner area and need an ozone-free purifier for a small to a medium-sized vehicle, then this is the one for you. This device has a CADR of 10m3/hr and is particularly recommended for those who want to know the exact PM levels as it comes with a real-time PM display and coloured LED indicators. However, it’s a really expensive purchase, and despite that, its filters only have a life of 350 hours, so they’ll only be good for those who do not tend to drive for long hours every day. Additionally, while it comes with a fragrance cartridge, it’s hard to find replacements after it runs out, rendering the feature more or less useless. This air purifier would be a great choice for those who do not live in really polluted areas and need a purifier that can take care of minor levels of pollution. It works best in 200 sq ft rooms, has a timer with various settings, extremely noiseless night mode, as well as a child lock feature, which makes it perfect for households with young kids. Although, it’s not the right choice for those living in Delhi NCR as it only has a CADR of 210m3/hr, which is hardly strong enough for areas with high PM levels. Despite the slightly expensive price tag, it lacks a real-time PM display, and its coloured LED indicators are not very accurate, which makes it a bit difficult to judge the air quality. 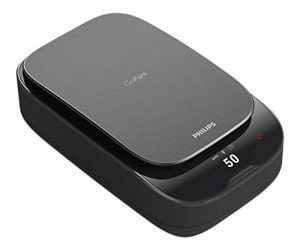 Those looking for a car air purifier for medium-sized vehicles like sedans and larger hatchbacks should choose this device as it has a CADR of 12m3/hr and takes only 5 to 10 minutes to purify the air. It is recommended for those who live in Delhi NCR who need an ozone-free purifier they can use for 3 to 4 hours every day. It is slightly expensive though, especially considering that the filter life is only 360 hours, so they’ll only last for about 3 months if you use the purifier for a few hours every day. Furthermore, the device is a bit noisy, and there’s no visual indicator to measure the level of pollution, so you can’t judge whether the purifier is working well. This air purifier with its 4 filter stages and 310m3/hr CADR is perfect for 200 sq ft rooms in Delhi NCR and larger rooms elsewhere with less pollution. This ozone-free device comes with 2 years warranty and is recommended for those looking for an ultra-silent purifier that is ultra-silent, so it will not bother them while they sleep. It is quite an expensive device though, and this may not be the best investment for you unless you’re interested in buying a noiseless machine, or one that goes beyond the usual levels of filtration. It doesn’t have a real-time PM level display either, so you would have to rely solely on the coloured LED indicators to know the air quality. 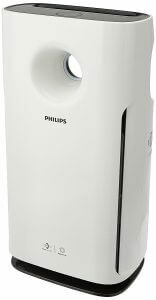 If you’re looking for an affordable yet effective air purifier for a slightly smaller room of about 120 to 150 sq ft., this would be a great choice for you. 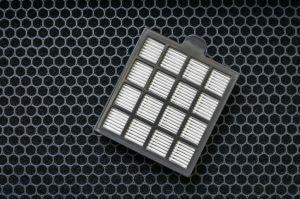 It is easy to clean, and lets you know when it’s time to clean the pre-filters or replace the other filters. 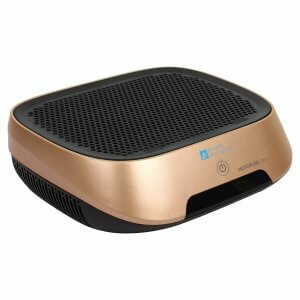 It has coloured LED lights to inform you about the quality of the air in the room as well. However, it doesn’t provide any way of knowing the exact amount of PM particles in the air and judge the amount of work done by the device. While it works perfectly in slightly cleaner cities, it isn’t the best choice for areas like Delhi NCR in winter as its 270m3/hr CADR is not strong enough to handle such high levels of pollution. If you spend a lot of time driving in Delhi NCR and need a car air filter that’s both affordable and effective, then this is the one for you! It has a 4 stage filtering process, with a CADR of 15m3/hr, which makes it powerful enough for larger vehicles like sedans and SUVs, as well as smaller vehicles like hatchbacks too. While it is ozone-free, it does have an ioniser, so if you’re prone to headaches, this wouldn’t be the best choice for you. It is also really loud, so it might not be great for those looking for devices that work silently. It may also be unsuitable for those who do not have strong air conditioning as it somehow makes the air slightly warmer. 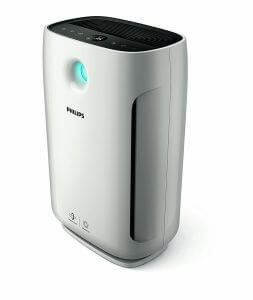 This air purifier works wonders for small rooms of about 200 sq ft and has a CADR of 310m3/hr, which makes sure it can quickly remove all the pollutants from the air. 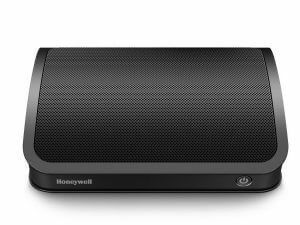 It is highly recommended for those who want an air purifier with an app which gives them remote access to the device and more information about how it’s been working. If the fan speed is set to over 50% though, it becomes really noisy, which makes it hard to use in bigger cities that need to run purifiers at higher fan speeds regularly due to the pollution levels. It also turns off automatically after 3 hours, which is hardly enough for places like Delhi NCR, and it doesn’t mention if it’s ozone-free either. One of the best air purifiers on the market, this is perfect for those looking for a device with a CADR of 393m3/hr for a large room of about 700 sq ft to fight Delhi NCR level of pollution. It is completely ozone free, releases no negative ions, and comes with a real-time display of the PM levels and coloured LED indicators to help you assess the quality of air in the room. Although it seems like an expensive purchase, it pays off in the end as it comes with a 2-year warranty. It has a sleep mode for noiseless functioning during the night, an allergen mode for those with extremely sensitive noses, and a turbo mode for days with particularly high PM levels. Furthermore, the filters last for about 8 to 9 months, and when it’s time to change them, the device lets you know! If you’re living in Delhi NCR and need a purifier that works perfectly through frequent voltage fluctuations, then this is the one for you. 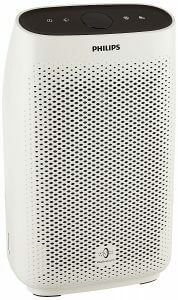 As it has a CADR of 250m3/hr, it takes around 40 to 50 minutes to purify the air in a medium-sized room of about 300 sq ft. 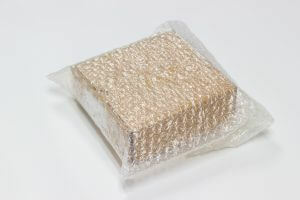 It is pretty lightweight as well, so you can carry it around to different rooms. This 100% ozone-free purifier comes with a 1-year warranty, has coloured LED lights to indicate the quality of the air, and has a night mode which makes sure the device works silently and doesn’t bother you while you sleep. 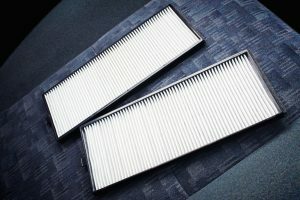 Its filters are really easy to clean and have a life of 3000 hours, so they should easily last you for a few months. The best air purifier on the market, this is powerful enough to manage post-Diwali Delhi air as it has a CADR of 333m3/hr, which works perfectly for medium sized rooms of up to 400 sq ft. This is particularly recommended for those living with pets, who need something to manage pet hair, as well as malodours from urine and litter boxes. It also has a special allergen mode that works wonders for those with allergies, and a sleep mode that turns off the light in low light settings. Additionally, it is noiseless, ozone-free, comes with a 2-year warranty, has an accurate real-time PM display, coloured LED air quality indicators, and easy to clean filters that last for about 5 months. If you’re planning to buy an air purifier, or have just bought one, there are a few things you should know about them before you judge their performance. It is extremely important that you realise that buying an air purifier will not make the air in your room 100% clean because that is an almost impossible level to achieve with the current pollution levels. A lot of users wonder why their air purifiers do not turn blue or show a PM level of less than 50 and assume that their purifiers are not working. This is not true though, the purifiers are usually working, but due to the high PM levels (going up to 999 in Delhi as of November 2017), it is unreasonable to expect a purifier to bring it down to 60. If the PM level is 300 outside, your purifier may bring it down to 150 or 100, and while that is still pretty high, it is way better than before. Therefore, you mustn’t treat the purifier as a panacea for all your air pollution-related problems. Due to the high levels of air pollution in most major cities, we recommend cleaning the pre-filters every week or every other week based on how much they’ve had to endure. If you’re living in Delhi NCR, you’ll probably have to change the activated carbon filter and HEPA filter much faster too because of the severity of the issue. While it is recommended to keep windows and doors shut tightly when using an air purifier, you must allow fresh air to enter the room occasionally because it’s not healthy to have the same air circulating the room for several hours. 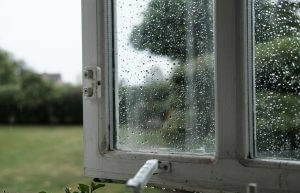 Therefore, every day, at least for an hour or so, you need to keep the windows and doors open, so there is proper ventilation. The best time to do this is early morning when the pollution levels are not too high. This may sound really obvious, but a lot of users seem to make this mistake and run their machines with the filters still packed. When you receive your purifier, open it, take out the filters, remove their plastic covers, put them back in the purifier, and then, run the device. This is the only way your purifier will work properly, so please do not forget to do this before using it! Air purifiers are not a permanent solution to air pollution, but they do offer temporary relief to those suffering from respiratory diseases and allergies. They’re also essential for households with elderly people and kids to make sure their health is not compromised in any way due to the high PM levels. With products like these, it’s important to look at both the initial cost, as well as the running costs, so choose wisely! 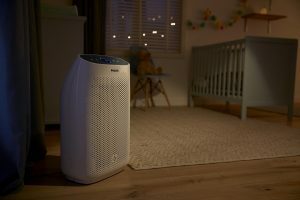 We hope our buying guide helped you understand how you can choose the best air purifier, and we also hope our list of recommendations made it easier for you to select the right product for yourself.